Synopsis: Buffy ties to comfort Willow when Oz answers the call of the wild and is drawn to another woman, who turns out to be a fellow werewolf. Don't forget to leave us feedback in the iTunes store. Email us at roguedemonhunters@gmail.com, Like us on FB by searching Rogue Demon Hunters and follow us on twitter at RDHPodcast. You can also leave us a voicemail at 484-424-9943. RDH hits 70 this week as Nicole Marie, Selina J., and Toni rehash Angel, Season 1, episode 4, I Fall To Pieces. The gang at Angel, Inc. helps a stalking victim. A creepy doctor is obsessed with a former patient, somehow he knows everything that she does. Angel begins to suspect that something supernatural is going on and investigates the doctor's past. 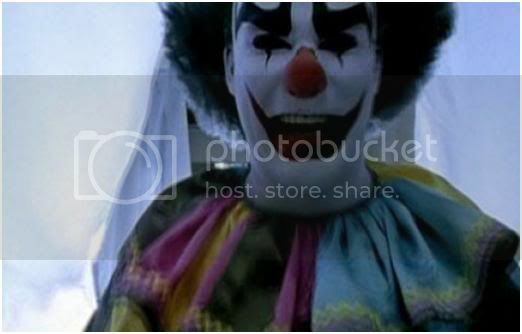 Soon Angel, Doyle and Cordelia are all in danger as they realize the doctor is more than he seems. Don't forget! We LOVE feedback! Email us at roguedemonhunters@gmail.com, Find us on facebook by searching Rogue Demon Hunters, leave us a voicemail at 484-424-9943...and don't forget that review in the iTunes store! Join Nicole, Selina and Toni as they discuss Buffy and the Scooby gangs fears in Fear Itself. It's about time! The girls are back and ready for some more Spike in the first Angel-BTVS crossover event: In the Dark. Send us your feedback! Twitter @RDHPodcast, Voicemail 484-424-9943 (will be played on air! ), Search us out on Facebook: Rogue Demon Hunters. Gmail is always good too RogueDemonHunters@gmail.com. And don't forget that review in the iTunes store! Sorry about the long hiatus but better late than never! Join Nicole, Selina, Rose, Toni and special guest Natalie while we discuss the sexcapades of Harsh Light of Day and of course SPIKE!!!! Join us next time as we discuss the first Buffy Crossover to Angel!!!! Send us your feedback! Follow us on twitter @RDHPodcast, find us on Facebook by searching Rogue Demon Hunters, Leave us a voicemail at 484-424-9943, send us an email at roguedemonhunters@gmail.com, and don't forget that review in the iTunes store! They're back! Join Nicole, Selina, Rose and Toni as they discuss Angel, Season 1, episode 2: Lonely Hearts. Sorry for the lateness of posting the podcast. We are now ready to get back on a schedule after all the crazy festivities! 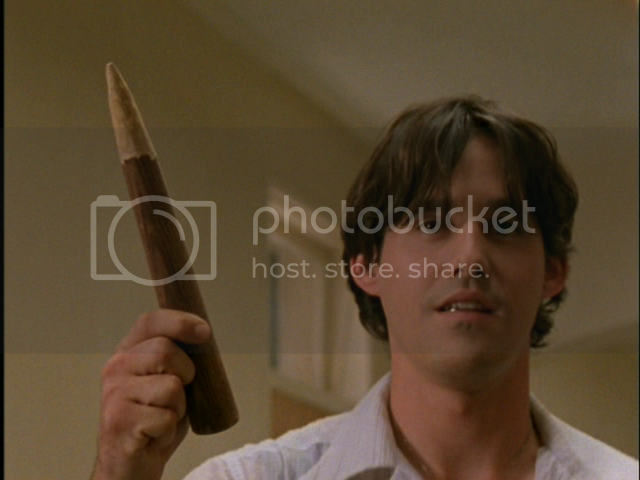 Back to BTVS we go chatting about the Epic battle between Kathy and Buffy.... and toe nails! Send us your feedback! Subscribe to us on iTunes and leave us a review, email us at RogueDemonHunters@gmail.com, like us on Facebook at Facebook.com/RogueDemonHunters, follow us on Twitter @RDHPodcast and how about a voicemail at 484-424-9943? We'd love to hear from you! That's right, it is finally here! Join Nicole, Rose and Selina with special guest Toni as we dive into Angel, Season One, Episode One: City Of. Join Nicole, Selina and Rose with their awesome guest hosts Toni and Jo as they talk about Buffys first days in college. Disclaimer: Skype was being difficult so we apologize for some of the echoing and clicking. Rogue Demon Hunters #62: Season 3 Wrap-up! Stay tuned for BTVS, S4Ep1: The Freshman AND Angel, S1Ep1: City of...yes people, Angel is finally happening! We love feedback! Find us on Facebook at Facebook.com/RogueDemonHunters, follow us on twitter @RDHPodcast, email us at RogueDemonHunters@gmail.com, leave us a voicemail at 484-424-9943 and what about that review in the iTunes store, hmm? Join Selina and Nicole, with guest hosts,Toni Rankin and Mark Ivey, as we finish out with Graduation Day with Part 2. Join Selina and Nicole, with guest host,Toni Rankin, as we get ready for Graduation Day with Part 1. This week, the Mayor gives Faith instructions to distract Buffy from Ascension Day by shooting Angel with a poison for which the only antidote is the blood of a Slayer. And be sure to join us next time for the Season 3 Finale: Graduation Day, Part 2! This week Selina, Nicole and Rose bring it the Prom Buffy style. That speech makes us cry everytime, how about you? Take a minute to send us some feedback! Email us at RogueDemonHunters@gmail.com; Like us on Facebook at www.facebook.com/RogueDemonHunters, follow us on Twitter @RDHPodcast and subscribe to us on iTunes (you can leave us a review while you're there!). You can give us a call day or night at the RDH Studio Hotline: 484-424-9943! All good things to those who wait! Nicole and Selina and back in the RDH studios with Special Guest Host, Mark Ivey for the 58th installment of RDH: Buffy, the Vampire Slayer, Season 3, Episode 19: Choices. This week, the Mayor takes Willow prisoner after Buffy and her friends steal away a box containing demonic energy needed for Ascension Day. Be sure to subscribe on iTunes and leave us that review! Stay tuned for RDH #59; it's almost time for PROM! Join Selina, Nicole with two special guest host Mark and Toni while we discuss episode Earshot! Join us next time as we discuss episode Choices!! Listen now as Nicole and Selina are joined by special guest co-host Rose and they journey through Faith's turn to the darkside in BTVS, Season 3, episode 17: Enemies. This week, Faith uses a shaman's powers to take away Angel's soul. Join Selina and Nicole with special host Kevin Bachelder. Check out Kevin's podcast Saturday B Movie Reel in the iTunes store! This week while casting a magica spell, Anya and Willow accidentally summon Willow's evil double from an alternate universe. Head on over to the iTunes store now and leave us that review you've been meaning to, or how about a voicemail? We'll play it on next weeks episode! The RDH studio hotline is 484-424-9943. You can also follow us on twitter @RDHPodcast or find us on Facebook at www.facebook.com/roguedemonhunters. Let's not forget email: RogueDemonHunters@gmail.com. Selina J. Taylor and Nicole Marie Stewart are joined by special guest co-host Bob DeGrande for this weeks episode of BTVS: Consequences. Stay tuned for next weeks discussion of Dopplegangland! Selina and Nicole are joined by special guest Rose to discuss BTVS episode Bad girls. Faith convinces Buffy to live on the wild side, with fatal consequences. Toni Rankin is back, joining Selina J. Taylor and Nicole Marie Stewart in BTVS Season 3's Xander-packed episode 13: The Zeppo. This week, Xander has an adventure of his own when he encounters a group of reanimated corpses out to "Bake a Cake" (and we're not talking Betty Crocker). Meanwhile, Buffy and friends battle the forces of evil as the hellmouth reopens. ...and don't forget that review in the iTunes store!!! Happy 50 podcasts to us!!! Buffy loses her slayer powers as her 18th birthday approaches and must do battle with a coo coo vampire! Join us as we talk about how helpless Buffy feels with co-host Rosemary Blankenship. It's time for a twist on a classic fairytale...journey with Selina J. Taylor and Nicole Marie Stewart as the venture through BTVS season 3, episode 11: Gingerbread. This week, after discovering the corpses of two young children bearing a mark tied to the occult, Joyce spearheads a campaign to rid Sunnydale of witches. Don't forget to send us your feedback! Email us at roguedemonhunters@gmail.com, like us on facebook at www.Facebook.com/roguedemonhunters, follow us on twitter @RDHPodcast, leave us a voicemail at 484-424-9943 and don't forget that review in the iTunes store! Selina and Nicole are joined by special guest Rose in the latest episode of RDH, BTVS Season 3 episode 10, Amends. This week as the holiday season approaches, Angel is tormented by evil apparitions who want him to eliminate Buffy. Don't forget to send us your feedback! You can email us at RogueDemonHunters@gmail.com, Like us on Facebook at www.Facebook.com/RogueDemonHunters, Follow us on Twitter @RDHPodcast, leave us a voicemail at 484-424-9943 , and don't forget that review in the iTunes store! Nicole and Selina are joined by special guest co-host, Mark Ivey, for the latest installment of RDH: BTVS Season 3, Episode 9: THE WISH! This week, Cordelia's wish for a Buffy-free Sunnydale comes true, plunging her into a world where vampires have taken control of the town. Don't forget to send us your feedback! You can email us at RogueDemonHunters@gmail.com, Like us on Facebook at www.Facebook.com/RogueDemonHunters, Follow us on Twitter @RDHPodcast, leave us a voicemail at 484-424-9943, and don't forget that review in the iTunes store! Join Nicole & Selina with special co-host RoseMary Blankenship while they discuss Spike's return in Lover's Walk. Don't forget to send us your feedback! Like us on Facebook at www.Facebook.com/roguedemonhunters, Follow us on twitter @RDHPodcast, send us an email at roguedemonhunters@gmail.com, call the RDH studio hotline at 484-424-9943and don't forget that review in the iTunes store! Join Selina and Nicole, with special Guest Toni Rankin, for the next RDH Installment: Revelations (BTVS S3EP7). This week, with the help of Faith's new watcher, Buffy seeks to destroy a weapon-like glove before it falls into the hands of a demon. Don't forget to send us your feedback! Like us on Facebook at www.Facebook.com/roguedemonhunters, Follow us on twitter @RDHPodcast, send us an email at roguedemonhunters@gmail.com, call the RDH studio hotline at 484-424-9943, and don't forget that review in the iTunes store! Join Selina J Taylor, Nicole Marie Stewart and guest host Bob DeGrande as they discuss the fun known as Band Candy! Join us next week when we talk about Buffy the Vampire Season 3 Ep 7 Revelations. Don’t forget to send us your feedback! You can e-mail us at RogueDemonHunters@gmail.com, like us on Facebook at Facebook.com/Roguedemonhunters, and leave us a voicemail by dialing 484-424-9943, you can also follow us on Twitter at RDHPodcast and please leave us a review in the iTunes store! Join Nicole Marie Stewart and Selina J. Taylor RIGHT NOW as the delve into Buffy the Vampire Slayer, Season 3, Episode 5: Homecoming! This week, as Buffy and Cordelia vie for Homecoming Queen, a group of killers participate in Slayerfest '98! SEND US YOUR FEEDBACK! Find us on Facebook at www.Facebook.com/roguedemonhunters , email us at roguedemonhunters@gmail.com , follow us on Twitter @RDHPodcast, call our RDH studio line at 484-424-9943 and don't forget that review in the iTunes store! We had the pleasure of interviewing Spice Williams Crosby who has had roles on both Buffy (Patrice from the Order of Taraka) and Angel(Debbie in Salvage). 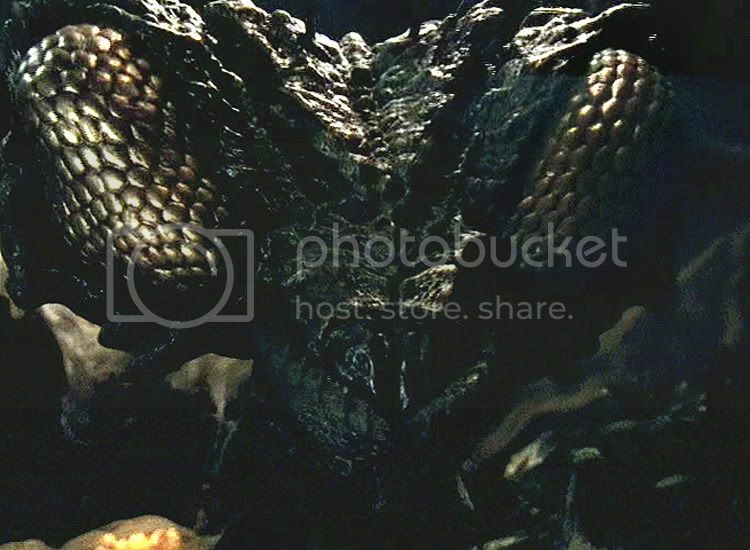 She has also played demons on Buffy. She has been in numerous shows (including Star Trek) and movies as a stunt coordinator. She is an amazing woman with a lot of stories and we hope you enjoy her as much as we did. Here is where you can find her and learn more about her. Join Selina & Nicole as they discuss Season 3 Episode 4, Beauty and the Beasts. 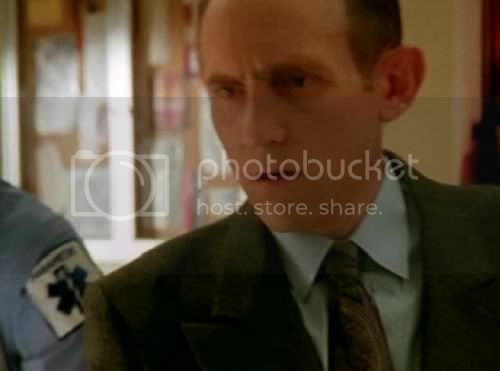 This week Oz becomes the prime suspect when a series of animal-like attacks occurs in Sunnydale. It's the BIG 4-0 for RDH! Stop what you're doin' and join Selina J. Taylor, Nicole Marie Stewart and special guest co-host, Mark Ivey right now for Buffy, the Vampire Slayer, Season 3, Episode 3: Faith, Hope and Trick! This week a charismatic slayer visits Sunnydale and wins over Buffy's friends, meanwhile two powerful vampires plot an attack! Don't forget to send us your feedback! You can email us at RogueDemonHunters@gmail.com, Like us on Facebook at www.Facebook.com/RogueDemonHunters, Follow us on Twitter @RDHPodcast, leave us a voicemail at 484-424-9943 and don't forget to review us in the iTunes store! Join Nicole Marie Stewart, Selina J Taylor and guest host Toni Rankin as they discuss Buffy the Vampire Slayer Season 3, Episode 2: Dead Man's Party. 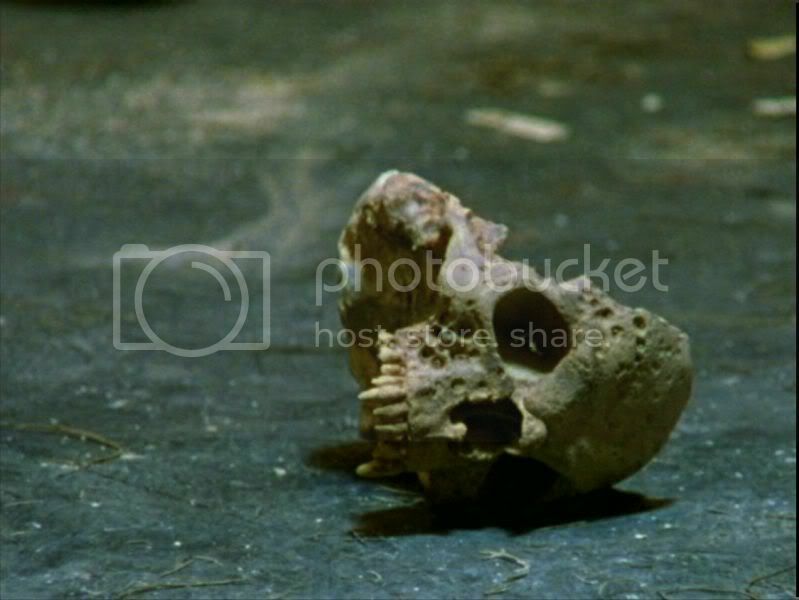 This week a Nigerian mask reanimates the dead, forcing Buffy to battle a horde of zombies. Don't forget to send us your feedback! Like us on Facebook at www.Facebook.com/RogueDemonHunters, Follow us on Twitter @RDHPodcast, email us at RogueDemonHunters@gmail.com, Leave us a voicemail at 484-424-9943 and don't forget to leave us a review in the iTunes store! Join us next week as we discuss Episode 3: Faith, Hope and Trick!! Right now join Nicole Marie Stewart and Selina J. Taylor as they begin their journey through Buffy, the Vampire Slayer, Season 3 with episode 1: Anne. This week, while living in the big city, Buffy assists a girl whose boyfriend has mysteriously vanished. 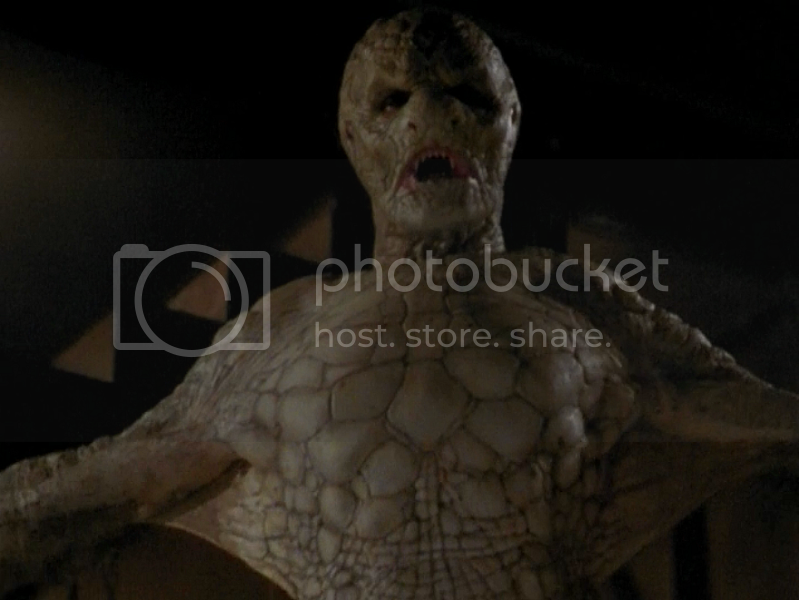 Back in Sunnydale, Buffy's friends do their best to battle the forces of evil. Selina J Taylor and Nicole Marie Stewart speak about their journey through Season 2. Don't forget, send us your Season 2 feedback! Email us at RogueDemonHunters@gmail.com, Like us on Facebook at Facebook.com/RogueDemonHunters, Leave us a voicemail at 484-424-9943, follow us on Twitter @RDHPodcast, and check us out in the iTunes store (it's free, and while you're there leave us a review!). This week, Nicole Marie and Selina J. are joined by fellow podcaster, Bob DeGrande, to discuss the BTVS Season 2 finale: Becoming, Part 2. After being framed for Kendra's murder, Buffy strikes an unlikely alliance with Spike to keep Angel from destroying the world. Selina J Taylor, Nicole Marie Stewart and special co-host Toni Rankin discuss Season 2 Episode 19, I Only Have Eyes For You. 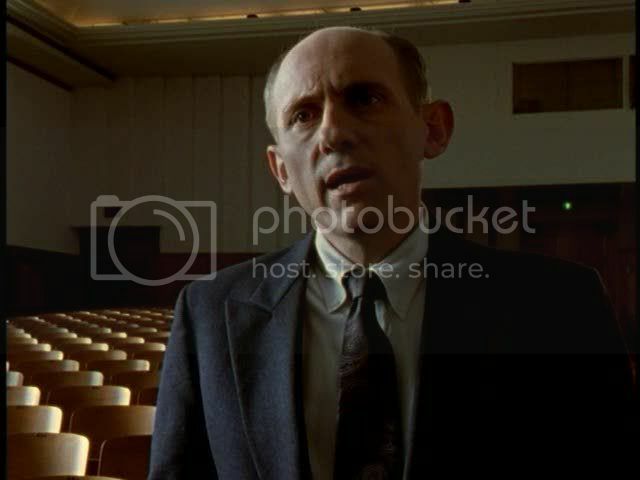 This week Sunnydale High School is haunted by the ghosts of a former student and teacher who reenact their tragic romance through the bodies of the school's current inhabitants. Right now join Nicole and Selina for RDH #32: Killed by Death! This week, while Buffy is in the hospital with a bad case of the flu, a demon lingers...sucking the life out of the little children. Join us next week for Buffy, the Vampire Slayer Season 2, Episode 19: I Only Have Eyes for You. This week Selina J. Taylor, Nicole Marie Stewart with special co-hosts Toni Rankin and Jo discuss Season 2 Episode 17 Passion. Passion... it lies in all of us. Sleeping, waiting, and though unwanted, unbidden, it will stir, open its jaws, and howl. It speaks to us, guides us... passion rules us all. And we obey. What other choice do we have? Join us next week when we talk about Buffy the Vampire Slayer, Season 2, Episode 18, Killed by Death. Don’t forget to send us your feedback! You can e-mail us at RogueDemonHunters@gmail.com, like us on Facebook at Facebook.com/Roguedemonhunters, and leave us a voicemail by dialing 484-424-9943, you can also follow us on Twitter at RDHPodcast! Don't forget to leave us an iTunes review! It's the big 3-0 for Rogue Demon Hunters! This week Selina J. Taylor and Nicole Marie Stewart discuss Buffy, the Vampire Slayer season 2 episode 16: Bewitched, Bothered and Bewildered! As Valentine's day approaches, Xander tries to improve his love life using witchcraft and ends up with too much of a good thing (yes, that is possible!). Be sure to join us next week when we will discuss season 2 episode 17: Passion. Send us your feedback! You can email us at RogueDemonHunters@gmail.com, Find us on Facebook at www.facebook.com/RogueDemonHunters, Follow us on twitter @RDHPodcast and subscribe to us in the iTunes store...it's free! Don't forget our studio hotline: 1-484-424-9943. We would love to hear from you! This week Buffy and her friends discover secrets about themselves as they battle a werewolf, its hunter, and their own emotions. Join us next week when we discuss Buffy, the Vampire Slayer Season 2, Episode 16: Bewitched, Bothered and Bewildered. Send us your feedback! Email us at RogueDemonHunters@gmail.com, find us on Facebook at www.facebook.com/roguedemonhunters, follow us on twitter @RDHPodcast or leave us a voicemail at 484-424-9943. This week Selina J Taylor and Nicole Marie Stewart with special co-host Toni Rankin to discuss Buffy the Vampire Slayer Season Two Episode #14 Innocence. Don't forget to send us your feedback and leave us a review in the iTunes store! Our email is Roguedemonhunters@gmail.com, you can like us on Facebook at www.facebook.com/roguedemonhunters and follow us on Twitter @RDHPodcast. You can leave us a voicemail at 484-424-9943! Join us next week when we discuss Episode #15 Phases. Join us next time as we discuss Season 2, Episode 14: Innocence. This week Selina J. Taylor and Nicole Marie Stewart discuss BTVS Season 2 Episode 12, "Bad Eggs"
Don't forget to send us your feedback and leave us a review in the iTunes store! Our email is Roguedemonhunters@gmail.com, you can like us on Facebook at www.facebook.com/roguedemonhunters and follow us on Twitter @RDHPodcast. You can leave us a voicemail at 484-424-9943! This week Nicole Marie Stewart and Selina J. Taylor discuss season 2, episode 11: Ted. Buffy's mom brings home her new boyfriend, and he is not at all what he seems. This week Selina J. Taylor, Nicole Marie Stewart with co-host Rose discuss Season 2, Episode 10: "What's My Line, Part 2". Buffy joins forces with another Slayer in hopes of saving Angel from the clutches of Spike and Drusilla..
Stay tuned next week when we discuss Episode 11: "Ted"
Send us your feedback! Like us on Facebook at www.Facebook.com/RogueDemonHunters, Leave us a voicemail on our NEW Rogue Demon Hunters Studio Hotline: 1-484-424-9943, follow us on Twitter @RDHPodcast, send us an email at RogueDemon Hunters@gmail.com and we'd love your review in the iTunes store, too! Selina and Nicole are back from their Holiday Hiatus with guest co-host Rose and a brand new show! This week, Spike brings in three professional bounty hunters to eliminate Buffy while she ponders on what her profession might be if her fate wasn't already sealed. Stay tuned next week when the Rogue Demon Hunters review "What's My Line, Part 2". This week co-hosts "Krazy Joe" Fiore, Selina J. Taylor, and Nicole Stewart discuss "Buffy, the Vampire Slayer" Season 2, Episode 9 - 'The Dark Age'. This Week, Giles's past comes back to haunt him as a demon he and Ethan Rayne summoned in their wild youth seeks them out in Sunnydale. Join us next week when we discuss 'Buffy, the Vampire Slayer' Season 2, Episode 10: "What's My Line Part I"
Please become a fan of Rogue Demon Hunters on Facebook, and subscribe to us on I-Tunes. This week co-hosts "Krazy Joe" Fiore, Selina J. Taylor, and Nicole Stewart discuss "Buffy, the Vampire Slayer" Season 2, Episode 8 - 'Lie to Me'. This Week, Buffy is lured into a trap by a group of undead wannabes who hope that Spike will make them vampires in exchange for giving him the Slayer. Join us next week when we discuss 'Buffy, the Vampire Slayer' Season 2, Episode 9: "The Dark Age"
This week co-hosts "Krazy Joe" Fiore, Selina J. Taylor, and Nicole Stewart discuss "Buffy, the Vampire Slayer" Season 2, Episode 7 - 'Halloween'. This Week, On Halloween, Buffy and her friends patronize an unusual costume shop where customers turn into whatever costume they are wearing. Join us next week when we discuss 'Buffy, the Vampire Slayer' Season 2, Episode 8: "Lie to Me"
This week co-hosts "Krazy Joe" Fiore, Selina J. Taylor, and Nicole Stewart discuss "Buffy, the Vampire Slayer" Season 2, Episode 6 - 'Reptile Boy'. 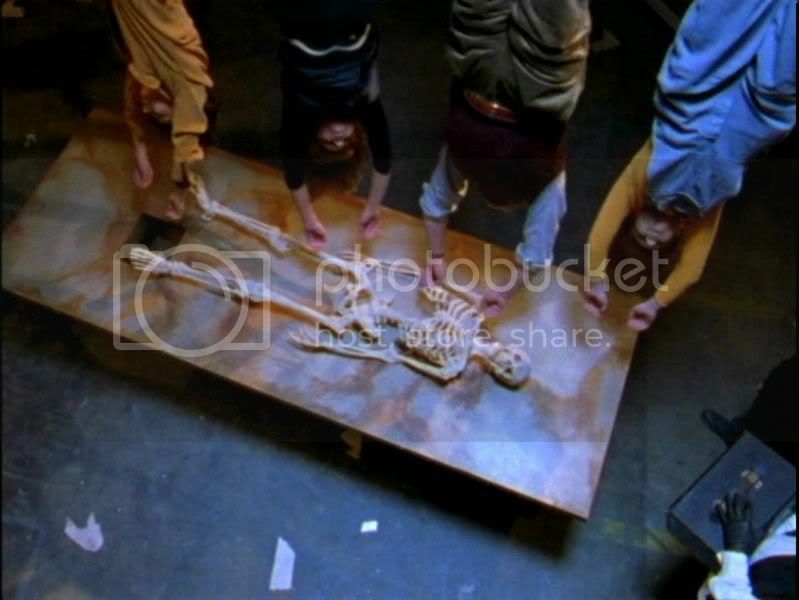 This week, Buffy and Cordelia attend a frat party where they are offered as human sacrifices to a reptile-like creature. Join us next week when we discuss 'Buffy, the Vampire Slayer' Season 2, Episode 7: "Halloween"
This week co-hosts "Krazy Joe" Fiore, Selina J. Taylor, and Nicole Stewart discuss "Buffy, the Vampire Slayer" Season 2, Episode 5 - 'Inca Mummy Girl'. Join us next week when we discuss 'Buffy, the Vampire Slayer' Season 2, Episode 6: "Reptile Boy"
This week co-hosts "Krazy Joe" Fiore, Selina J. Taylor, and Nicole Stewart are joined by guest co-host Rose Blankenship. The four continue to discuss "Buffy, the Vampire Slayer" Season 2, Episode 3 - 'School Hard'. This week, we discuss facts and trivia for 'Buffy, the Vampire Slayer' Season 2, Episode 3: "School Hard". Also, an interview with Andrew J. Ferchland who plays The Anointed One! Join us next week when we discuss 'Buffy, the Vampire Slayer' Season 2, Episode 4: "Inca Mummy Girl"
This week co-hosts "Krazy Joe" Fiore, Selina J. Taylor, and Nicole Stewart are joined by guest co-host Rose Blankenship. 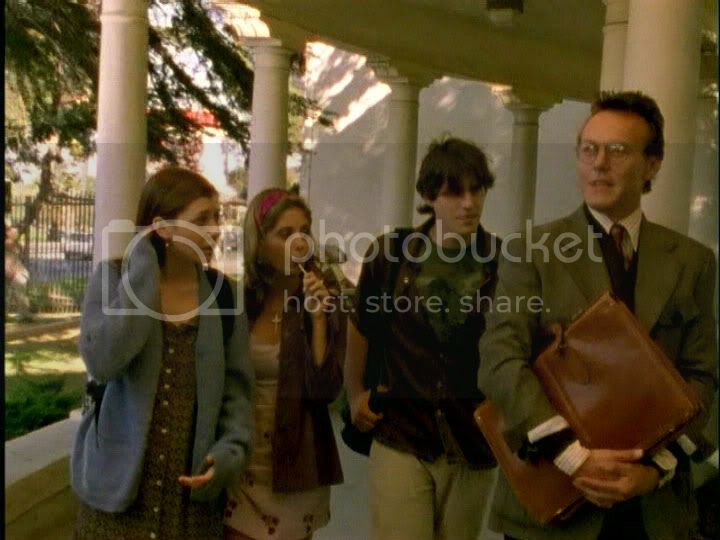 The four discuss "Buffy, the Vampire Slayer" Season 2, Episode 3 - 'School Hard'. This week, Buffy's mother and friends become trapped inside Sunnydale High School when a vampire named Spike launches an attack against the Slayer. Join us next week when we discuss facts and trivia for 'Buffy, the Vampire Slayer' Season 2, Episode 3: "School Hard". Also, an interview with Andrew J. Ferchland who plays The Anointed One! This week co-hosts "Krazy Joe" Fiore, Selina J. Taylor, and Nicole Stewart discuss "Buffy, the Vampire Slayer" Season 2, Episode 2 - 'Some Assembly Required'. This week, Two science club nerds use body parts to create the "perfect girlfriend" for a teenager who has been brought back from the dead. Join us next week when we discuss 'Buffy, the Vampire Slayer' Season 2, Episode 3: "School Hard"
This week co-hosts "Krazy Joe" Fiore, Selina J. Taylor, and Nicole Stewart discuss "Buffy, the Vampire Slayer" Season 2, Episode 1 - 'When She Was Bad'. This week, Buffy returns from vacation and suffers from nightmares involving the master. Meanwhile, the Anointed One and his followers plot their revenge. Join us next week when we discuss 'Buffy, the Vampire Slayer' Season 2, Episode 1: "When She Was Bad"
Rogue Demon Hunters # 13: Buffy, the Vampire Slayer Season 1 Wrap Up! It's time for a wrap up of 'Buffy: Season 1'! This week, 'Krazy Joe', Selina, & Nicole discuss the first season. We got back and look at the ratings we gave to each episode of season 1, and discuss our favorite season 1 moments, episodes, and characters. Rogue Demon Hunters # 12: 'Prophecy Girl' with special guest Andrew J. Ferchland ! This week co-hosts "Krazy Joe" Fiore, Selina J. Taylor, and Nicole Stewart are joined by the Anointed One himself, actor Andrew J. Ferchland! They discuss "Buffy, the Vampire Slayer" Season 1, Episode 12 - 'Prophecy Girl' , the first season finale! 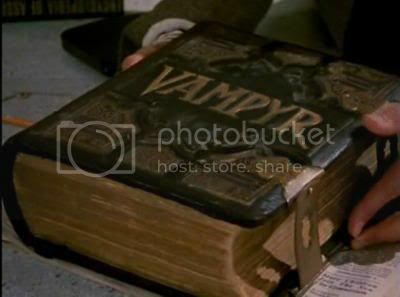 This week, Giles discovers an ancient book foretelling Buffy's death at the hands of the master. Join us next week for our 'Buffy, the Vampire Slayer, Season 1' wrap up!! This week, When an invisible menace starts attacking contenders in the upcoming May Queen election, the Scooby Gang traces the problem back to Cordelia. Join us next week when we discuss 'Buffy, the Vampire Slayer' Season 1, Episode 12: "Prophecy Girl"
Join us next week when we discuss 'Buffy, the Vampire Slayer' Season 1, Episode 11: "Out of Mind, Out of Sight"
Join us next week when we discuss 'Buffy, the Vampire Slayer' Season 1, Episode 10: "Nightmares"
Join us next week when we discuss 'Buffy, the Vampire Slayer' Season 1, Episode 9: "The Puppet Show"
This week co-hosts "Krazy Joe" Fiore, Selina J. Taylor, and Nicole Stewart are joined by guest co-host Rose Blankenship. The Four of them discuss "Buffy, the Vampire Slayer" Season 1, Episode 7 - 'Angel'. Join us next week when we discuss 'Buffy, the Vampire Slayer' Season 1, Episode 8: "I Robot, You Jane"
Xander and several other students are possessed by the spirit of a demonic breed of hyenas that wreak havoc at the high school. 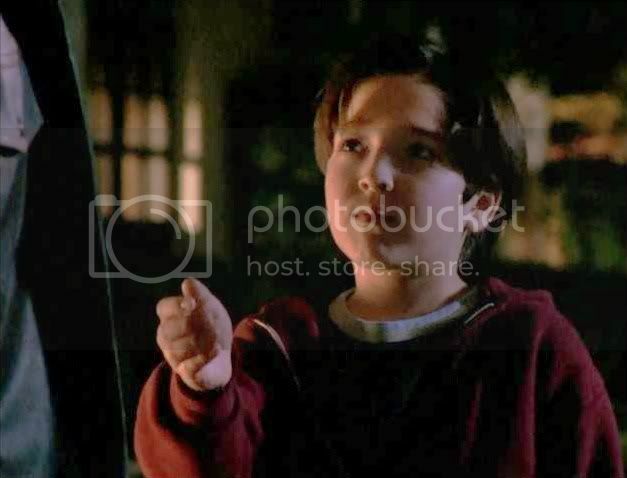 This week actor Ken Lerner joins us to discuss his role as Principal Flutie on 'Buffy, the Vampire Slayer'. Join us next week when we discuss 'Buffy, the Vampire Slayer' Season 1, Episode 7: "Angel"
Join us next week when we discuss 'Buffy, the Vampire Slayer' Season 1, Episode 6: "The Pack"
The day after her biology teacher is killed by an unseen monster, Buffy meets a beautiful new substitute with an unhealthy insect obsession. Join us next week when we discuss 'Buffy, the Vampire Slayer' Season 1, Episode 5: "Never Kill a Boy on the First Date"
In this episode, Buffy suspects she has a witch on her hands when the cheerleading squad falls victim to sudden blindness and spontaneous combustion. Join us next week when we discuss 'Buffy, the Vampire Slayer' Season 1, Episode 4: "Teacher's Pet"
This week co-hosts "Krazy Joe" Fiore, Selina J. Taylor, and Nicole Stewart discuss the two hour pilot for the Buffy TV series, "Welcome to the Hellmouth/The Harvest"
In this episode, Buffy Summers has just moved with her mother from L.A. to Sunnydale, a town located atop the mouth of hell. 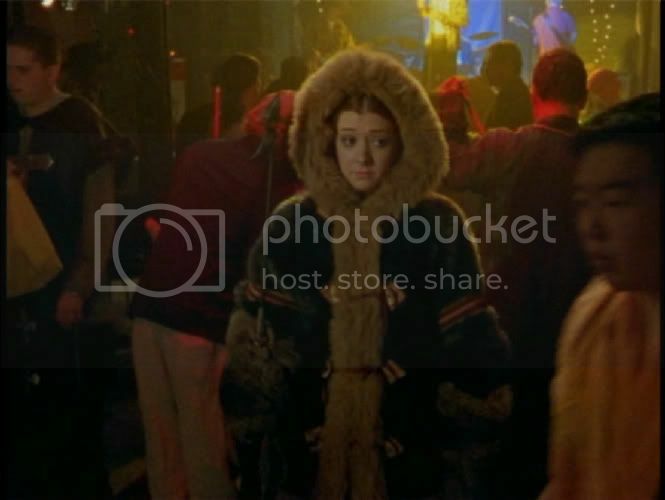 She meets insecure Willow Rosenberg, dorky Xander Harris and his best friend Jesse McNally, stuck up Cordelia Chase and the new, British librarian Rupert Giles. When aclassmate is found dead with bite-marks is found in a locker, Buffy realizes her vampire-killing past is catching up with her. Meanwhile, beneath Sunnydale, the villianous Master is preparing for the Harvest, a once-in-a-century opportunity to escape his imprisionment beneath Sunnydale. Join us next week when we discuss 'Buffy, the Vampire Slayer' Season 1, Episode 3: "The Witch"
From the People who brought you 'MegaPodzilla' comes a brand new podcast devoted to 'Buffy, the Vampire Slayer', & 'Angel'! In our inaugural episdode, hosts "Krazy Joe" Fiore, Selina J. Taylor, and Nicole Stewart discuss the 1992 film that started it all! The 1992 film stars Kristy Swanson in the title role. Buffy Summers is a senior at Los Angeles' Hemery High School. Her primary concerns in life are cheerleading and the Senior Dance until a mysterious stranger (Donald Sutherland) reveals that Buffy is the Chosen One: One Girl in all the world who alone will wield the strength and skill to fight the vampires, demons, and the forces of darkness; to stop the spread of their evil and the swell of their number. She is the Slayer. Soon Buffy finds herself in an epic battle against the evil vampire, Lothos (Rutger Hauer). Join us next week when we discuss 'Buffy, the Vampire Slayer' Season 1, Episodes 1 & 2: "Welcome to the Hellmouth/The Harvest"